PART NUMBER:err0459. land rover discovery or defender 200 tdi diesel models. WE ARE A INDEPENDENT LAND ROVER REPAIR AND PARTS CENTRE WE HAVE A WIDE RANGE OF GOOD QUALITY USED PARTS AS WELL AS NEW FOR DISCOVERY,RANGE ROVER CLASSIC AND DEFENDER PARTS. WE ONLY USE OEM SPECIFIED BOSCH PARTS. THE PUMP HAS BEEN RECONDITIONED TO A OEM SPECIFICATION, SO YOU CAN MAKE CERTAIN YOU ARE GETTING A PUMP THAT LOOKS AND WORKS LIKE NEW. IF UNSURE WITH YOUR ORDERING OR IN NEED OF GENERAL INFORMATION WITH REGARDS TO YOUR ORDER GET IN TOUCH. (We need your old pump). Bosch No. 0460 414 099. (We need your old pump ! ). Any queries pleas. LAND ROVER WFX101400. ROVER WFX101400. Function Fuel Feed Unit. Model year from: 09/2011; Fuel Mixture Formation: Common Rail (CR). Fuel Mixture Formation: Common Rail (CR). LAND ROVER LR030432, LR047217. Model year to: 08/2017; Fuel Mixture Formation: Common Rail (CR). Fuel injector pump for disco 300 tdi EDC good working order (was on my disco) these are getting rare. no reserve. PART NUMBER AH2Q9B395AB. 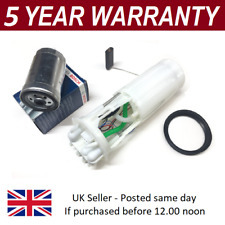 LAND ROVER DISCOVERY 4 / RANGE ROVER SPORT 3.0 TDV6-SDV6 HIGH PRESSURE FUEL PUMP. WITH OVER 6,000 SQ FT OF SHELVED PARTS, CLEANED AND READY TO DISPATCH WE ARE SURE TO HAVE THE PART THAT YOU ARE LOOKING FOR. 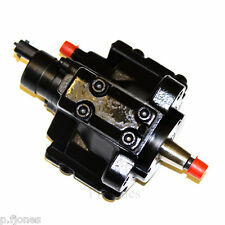 LAND ROVER FREELANDER Injection Pump 0986440507 2 01/98-01/06. LAND ROVER FREELANDER (LN) 2 DI. BOSCH WIPER BLADES & MOTOR. CHAMPIONS WIPER BLADE. APEC BRAKE DISC & PADS KIT. BOSCH IGNITION & FUEL PARTS. Diesel injector Bosch part number 0 455 116 050 (9X2Q-9K546-AA) removed from TDV6 3.0L Diesel never been in a car was an engine that was ran on a lab test dyno. Engine now striped for inspection and its like new rest to be listed shortly. (HDK DIESEL INJECTION/INJECTOR PUMP. LAND ROVER DISCOVERY 2.5L 200 TDI GEMINI 3. we need your old pump). Fuel Mixture Formation: Petrol Injection. FORD FOCUS III 2.0 ST Hatchback Petrol 07/2012 on FWD 16 250 184. FORD FOCUS III Turnier 2.0 ST Estate Petrol 07/2012 on FWD 16 250 184. Model year to: 12/2014; Fuel Mixture Formation: Petrol Injection. IT'S BEEN RECONDITIONED TESTED AND CLEANED BY PROFESSIONALS, READY TO FIT YOUR VEHICLE. IT HAS BEEN CAREFULLY REMOVED FROM A RUNNING VEHICLE. Part Numbers:0460 414 991. BOSCH WIPER BLADES & MOTOR. LAND ROVER RANGE ROVER Mk II (LP) 2.5 D. CHAMPIONS WIPER BLADE. APEC WHEEL BRAKE CYLINDER. APEC BRAKE DISC & PADS KIT. BOSCH IGNITION & FUEL PARTS. 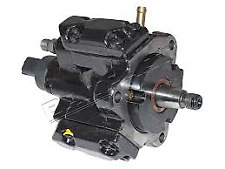 Distributor Pump, Direct Injection. Bosch 0445010272 Fuel Injector Pump. Genuine Bosch unit.Ex display item that has been tested and all good.Almost brand new and has done no miles! !Grab a bargain. 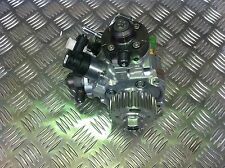 LAND ROVER DISCOVERY High Pressure Pump 0445010832 3 01/09-. LAND ROVER DISCOVERY IV (LA) 3 TD. BOSCH WIPER BLADES & MOTOR. CHAMPIONS WIPER BLADE. APEC WHEEL BRAKE CYLINDER. APEC BRAKE DISC & PADS KIT. 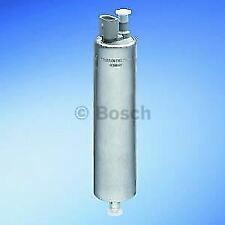 Fuel Pump In tank 0580313023 Bosch. Part Number 0580313023. LAND ROVER WFX101400. ROVER WFX101400. Function Fuel Feed Unit. P/N: WFX101060. OEM Land Rover Fuel Pump. BOSCH WIPER BLADES & MOTOR. LAND ROVER RANGE ROVER Mk III (LM) 4.4 D. CHAMPIONS WIPER BLADE. APEC WHEEL BRAKE CYLINDER. APEC BRAKE DISC & PADS KIT. BOSCH IGNITION & FUEL PARTS. 2 Year Warranty Bosch High Pressure Pump. LAND ROVER PART NUMBER LR006663 ---LR047217. LAND ROVER FREELANDER 2 2.2 DOHC EFI TC DW12 DIESEL MODELS TD4 2007-2011 HIGH PRESSURE FULE INJECTION DIESL PUMP. WE ARE A INDEPENDENT LAND ROVER REPAIR AND PARTS CENTRE WE HAVE A WIDE RANGE OF GOOD QUALITY USED PARTS AS WELL AS NEW FOR DISCOVERY,RANGE ROVER CLASSIC AND DEFENDER PARTS. LAND ROVER freelander 2,0 l series tcie engine diesel injection pump has been run up and checked leak free. 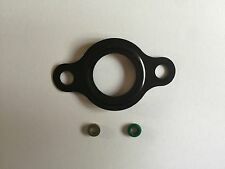 LAND ROVER PART NUMBER err5543. WE ARE A INDEPENDENT LAND ROVER REPAIR AND PARTS CENTRE WE HAVE A WIDE RANGE OF GOOD QUALITY USED PARTS AS WELL AS NEW FOR DISCOVERY,RANGE ROVER CLASSIC AND DEFENDER PARTS. Fuel Pump In tank 0580313014 Bosch. Part Number 0580313014. LAND ROVER WFX101060. ROVER WFX101060. Function Fuel Feed Unit. FUEL INJECTION TIMING GEAR FOR 11L IN GOOD CONDITION. Fuel High Pressure Pump HPP. Jaguar F-Type -- [2012-] Convertible 3.0 (2995ccm 340HP 250KW Petrol). No. : JAGUAR AJ 126 | Petrol Injection. Jaguar F-Type -- [2012-] Convertible 3.0 S (2995ccm 380HP 280KW Petrol). LAND ROVER FREELANDER 2 VAN (L359) 2.2 TD4 4x4 Box Diesel 10/2006 10/2014 AWD 16 160 118. ; Model year from: 09/2007; Model year to: 01/2013; Fuel Mixture Formation: Common Rail (CR). ; Model year to: 01/2013; Fuel Mixture Formation: Common Rail (CR). Removed from Land Rover Discovery 4 TDV6 3.0 2010. Good condition overall. 100% Tested and fully working. BMW E46 Genuine Fuel Pump. Fits E36. Condition is Used and in Working Order. Dispatched with Royal Mail 1st Class. JAGUAR F-TYPE Convertible (X152) 3.0 Convertible Petrol 10/2012 on RWD 24 340 250. JAGUAR F-TYPE Convertible (X152) 3.0 S Convertible Petrol 10/2012 on RWD 24 380 280. JAGUAR F-TYPE Convertible (X152) 3.0 S AWD Convertible Petrol 12/2014 on AWD 24 380 280. Engine Code: 204D3; Model year from: 09/2001; Fuel Mixture Formation: Common Rail (CR). Model year from: 09/2001; Fuel Mixture Formation: Common Rail (CR). LAND ROVER MSR100320. ROVER 75 Tourer (RJ) 2.0 CDT Estate Diesel 08/2001 05/2005 FWD 16 115 85. BMW 3 (E36) 2.5 325 td. BOSCH WIPER BLADES & MOTOR. CHAMPIONS WIPER BLADE. APEC BRAKE DISC & PADS KIT. BOSCH IGNITION & FUEL PARTS. 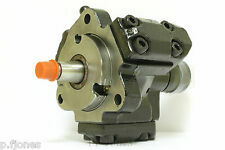 2 Year Warranty Bosch Injection Pump. INA WATER PUMP KIT. BLUE PRINT TIMING BELT KIT. LANDROVER DISCOVERY 1 AUTOMATIC BOSCH DIESEL INJ/PUMP. used ready to fit. A used with no issues bosch diesel injector pump complete for a 300 tdi discovery automatic. BMW 5 (E39) 525 d Saloon Diesel 02/2000 06/2003 RWD 24 163 120. BMW 5 Touring (E39) 525 d Estate Diesel 02/2000 05/2004 RWD 24 163 120. BMW 5 (E39) 530 d Saloon Diesel 09/1998 06/2003 RWD 24 193 142. BMW 5 (E39) 530 d Saloon Diesel 08/1998 09/2000 RWD 24 184 135. BOSCH: 0445010833. 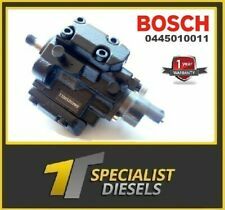 Genuine Bosch Land-rover/Peugeot/Citroen/Jaguar 3.0 Fuel/Injector pump 0445010629. JAGUAR: C2P21658. JAGUAR: 02JDE38562. BOSCH: 0986437432. BOSCH: 0445010629. BOSCH: 0445010832. High Pressure Pump. BOSCH: 0986440516. Part Number: 0986440516. BOSCH: 0460406994. Injection Pump. Injection System: Distributor Pump. Fuel Type: Diesel. Caravan & Camping. Office & Industrial.